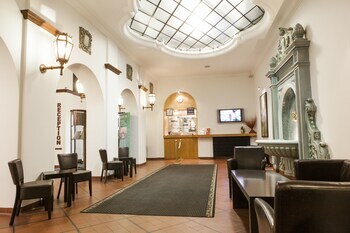 Property Location Theater Hotel Brussels is centrally located in Brussels, walking distance from City 2 Shopping Mall and close to Rogier Square. This hotel is within close proximity of St. Catherine's Square and Belgian Comic Strip Center.Rooms Stay in one of 56 guestrooms featuring LCD televisions. 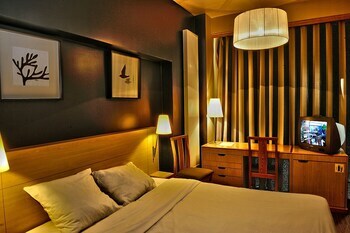 Your Select Comfort bed comes with Egyptian cotton sheets, and all rooms are furnished with sofa beds. Complimentary wireless Internet access keeps you connected, and cable programming is available for your entertainment. Bathrooms have bathtubs or showers and hair dryers.Rec, Spa, Premium Amenities Take in the views from a rooftop terrace and a garden and make use of amenities such as complimentary wireless Internet access.Dining Buffet breakfasts are available daily for a fee.Business, Other Amenities Featured amenities include complimentary newspapers in the lobby, dry cleaning/laundry services, and a 24-hour front desk. Property Location With a stay at Floris Hotel Ustel in Brussels (Anderlecht), you'll be minutes from Midi Market and Cantillon Brewery. This family-friendly hotel is within close proximity of Place du Jeu de Balle and Notre Dame da la Chapelle.Rooms Make yourself at home in one of the 114 individually decorated guestrooms. Complimentary wireless Internet access is available to keep you connected. Private bathrooms with shower/tub combinations feature complimentary toiletries and hair dryers. Conveniences include blackout drapes/curtains, housekeeping is provided daily, and irons/ironing boards can be requested.Rec, Spa, Premium Amenities Take in the views from a terrace and a garden and make use of amenities such as complimentary wireless Internet access. Additional features include babysitting/childcare (surcharge), an arcade/game room, and a television in the lobby.Dining Enjoy a satisfying meal at a restaurant serving guests of Floris Hotel Ustel.Business, Other Amenities Featured amenities include a 24-hour front desk, multilingual staff, and luggage storage. 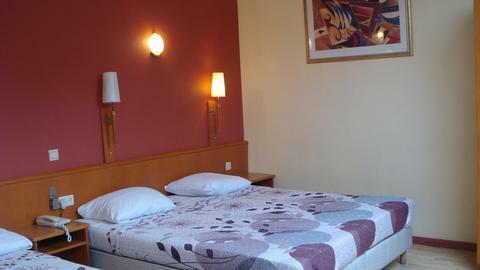 The perfect solution for your short (from 1 night) and long stays in the capital of Europe! 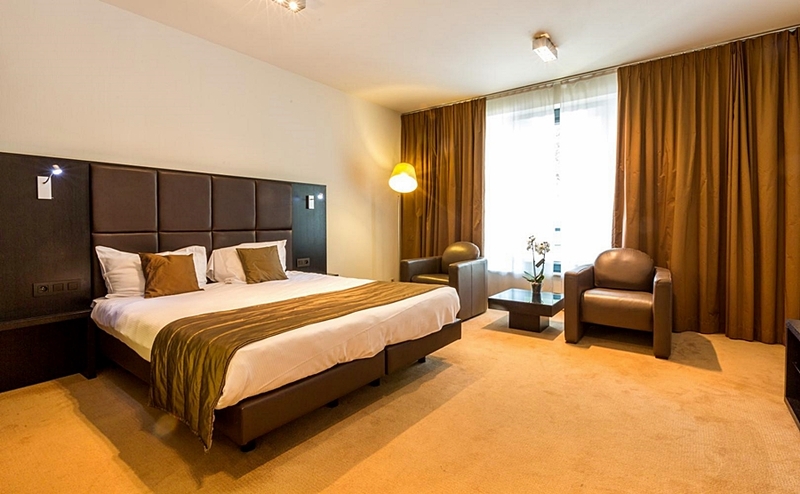 Whether you are in Brussels for business or for leisure, Diamant Suites Brussels EU is the ideal location. We offer you privacy, comfort, high standard, fully furnished and comfortable studios and penthouse apartments. All recent studios and apartments have a fully equipped kitchen and a modern living space.From the date of: 31/12/2016 City tax 4,25 euros / room / day, direct payment at the hotel. Property Location With a stay at Manhattan Hotel Brussels, you'll be centrally located in Brussels, steps from City 2 Shopping Mall and minutes from Rogier Square. 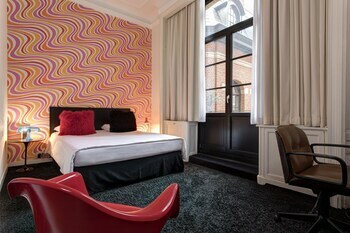 This hotel is within close proximity of Belgian Comic Strip Center and Colonne du Congres.Rooms Make yourself at home in one of the 62 guestrooms. Wireless Internet access (surcharge) keeps you connected, and cable programming is available for your entertainment. Conveniences include phones, as well as desks and a turndown service.Dining A complimentary breakfast is included.Business, Other Amenities Featured amenities include a 24-hour front desk, multilingual staff, and an elevator (lift). Property Location With a stay at Hôtel Siru, you'll be centrally located in Brussels, steps from Rogier Square and minutes from City 2 Shopping Mall. This hotel is within close proximity of Belgian Comic Strip Center and Colonne du Congres.Rooms Make yourself at home in one of the 101 guestrooms featuring refrigerators and flat-screen televisions. Complimentary wireless Internet access keeps you connected, and cable programming is available for your entertainment. Bathrooms have shower/tub combinations and hair dryers. Conveniences include phones and desks, and housekeeping is provided daily.Rec, Spa, Premium Amenities Take advantage of recreation opportunities such as a fitness center, or other amenities including complimentary wireless Internet access and an arcade/game room. Getting to nearby attractions is a breeze with the area shuttle (surcharge).Dining Quench your thirst with your favorite drink at a bar/lounge. Buffet breakfasts are available daily for a fee.Business, Other Amenities Featured amenities include a computer station, a 24-hour front desk, and multilingual staff. A train station pick-up service is available for a surcharge. Property Location With a stay at Slina Hotel Brussels, you'll be centrally located in Brussels, walking distance from Cantillon Brewery and close to National Museum of the Resistance. 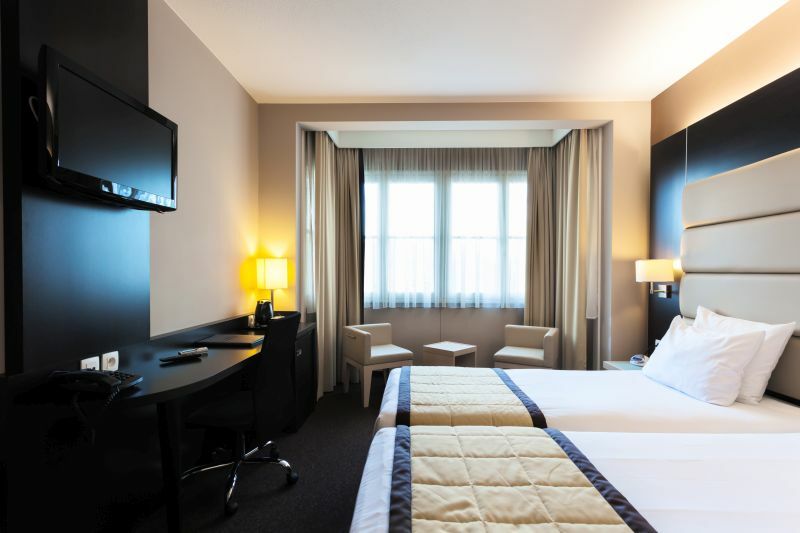 This hotel is within close proximity of Midi Market and Brussels Museum of Industry and Labour-La Fonderie.Rooms Stay in one of 48 guestrooms featuring flat-screen televisions. Complimentary wireless Internet access keeps you connected, and cable programming is available for your entertainment. Private bathrooms with shower/tub combinations feature complimentary toiletries and hair dryers. Conveniences include safes and desks, and housekeeping is provided daily.Rec, Spa, Premium Amenities Take advantage of recreation opportunities such as bicycles to rent, or other amenities including complimentary wireless Internet access and tour/ticket assistance.Dining Enjoy a meal at a restaurant or in a coffee shop/café. Or stay in and take advantage of the hotel's room service (during limited hours). Quench your thirst with your favorite drink at a bar/lounge.Business, Other Amenities Featured amenities include a 24-hour business center, dry cleaning/laundry services, and luggage storage. Self parking (subject to charges) is available onsite. 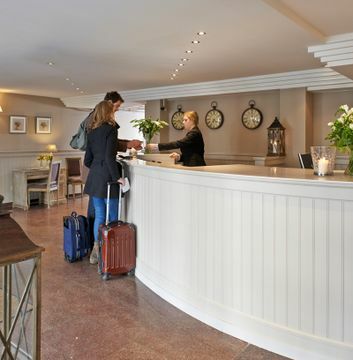 The BEST WESTERN Hotel Brussels South is located along the E19 Paris-Brussels motorway, just a few minutes' drive from the center of Brussels.Dining options at the hotel include a snack bar/deli. A bar/lounge is on site where guests can unwind with a drink. The breakfast is served at the Brasserie .This is a mordern 2 storey building .The lobby is brightFree parking, Free guest parking.From the date of: 05/03/2018 City Tax payable directly at the hotel. Property Location With a stay at Best Western Hotel Expo, you'll be centrally located in Brussels, steps from King Baudouin Stadium and minutes from Planetarium of the Royal Observatory of Belgium. This hotel is within close proximity of Mini-Europe and Bruparck.Rooms Stay in one of 49 guestrooms featuring flat-screen televisions. Complimentary wireless Internet access keeps you connected, and satellite programming is available for your entertainment. Bathrooms have showers and hair dryers. Conveniences include desks and coffee/tea makers.Dining Buffet breakfasts are available daily for a fee.Business, Other Amenities Featured amenities include complimentary newspapers in the lobby, a 24-hour front desk, and luggage storage. Free self parking is available onsite. Property Location With a stay at ibis Brussels Expo-Atomium in Brussels (Heizel), you'll be minutes from Brussels Expo and close to Atomium. This hotel is within close proximity of Bruparck and King Baudouin Stadium.Rooms Make yourself at home in one of the 81 guestrooms. Complimentary wired and wireless Internet access keeps you connected, and premium TV channels provides entertainment. Bathrooms have shower/tub combinations and hair dryers.Dining Quench your thirst with your favorite drink at a bar/lounge. Buffet breakfasts are available for a fee.Business, Other Amenities Featured amenities include complimentary high-speed (wired) Internet access, complimentary newspapers in the lobby, and dry cleaning/laundry services. Planning an event in Brussels? This hotel has facilities measuring 60 square feet (6 square meters), including a meeting room. Self parking (subject to charges) is available onsite.